How does it feel wearing? Does it suit my style? To make the properties of a fashion item more accessible, we collect the array information in the catalog and map it into an abstract mathematical linear space, the fashion space. There, the item is represented by a vector, its Fashion DNA. Unlike the catalog data, Fashion DNA is a fundamentally geometrical representation: The similarity between two articles is encoded by their distance in fashion space, while article properties (is it blue? Is it a dress? Is it offered by Nike? Does customer #1,234,567 like it?) are associated with specific directions in this space. We may also define a similarity measure between fashion attributes, based on the angle between their associated directions. For instance, the brand Desigual ® is associated with the pattern attributes paisley, colorful, and floral. Likewise, we can find similar brands, or identify customers whose personal style axis in fashion space aligns with the brand. Linear embeddings yield access to a powerful arsenal of inference methods in the fashion universe. Generally, Fashion DNA encodings are extracted as hidden activations in a feedforward deep neural network (DNN) that is trained on a relevant target, e.g., prediction of brands and silhouettes from images, mapping images to fashion items, or prediction of customer sales from attributes and images. The resulting Fashion DNA is correspondingly optimized for different tasks. For instance, the latter setup naturally leads to an enhanced collaborative filtering recommender system for fashion. AI tagging support – tagging new additions to the online shop is a resource-intensive, error-prone, and subjective task. The algorithm can suggest tags and identify labeling mistakes and omissions. Finding fashion trends – analyzing images posted by trendsetters, influencers, and shows, one could detect fashionable styles early on. Assessing competitors’ assortments – applied on crawled images, the method can provide continuously updated insights into the strategies of other players in the online fashion sector. 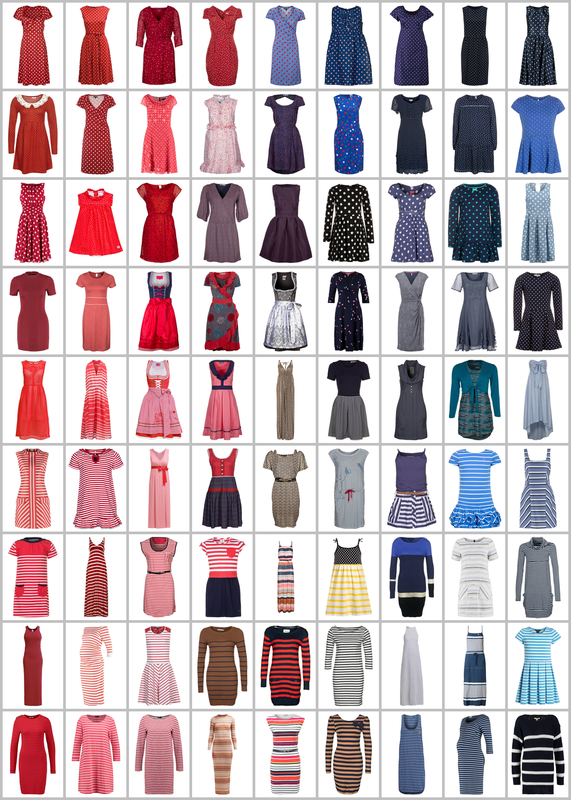 Fashion information often is embedded in an implicit context that is easy to disentangle for a human observer with daily life experience, but presents a difficult challenge to machine learning algorithms. For instance, images may depict a model wearing a variety of fashion articles in front of a structured background, or detailed views of an item (seams, tags, brand logos, etc.) that are of particular interest to customers. It doesn’t take much effort for a human to focus on a specific element of the model outfit (the image segmentation problem), or to imagine the three-dimensional appearance of an article from a few two-dimensional snapshots. The ease at which humans go about these tasks suggests that our internal representation “engine” is not only able to aggregate the information, but also can infer missing attributes and handle uncertainty. Conventional feed-forward neural network architectures are not well equipped for the purpose, while more recent probabilistic models like variational autoencoders form a basis for developing a more powerful representation scheme. Note that the model assigns similar encodings to very different views of an article (visible as clusters in the map), while still being able to extract abstract attributes like brand, silhouette, etc., with good precision. Such Fashion DNA is a useful substrate for our efforts to solve the street-to-shop task, matching fashion items depicted in real-life images to items in the online store.